Special July Price on Monkey Hat — Only a Few Days Left! 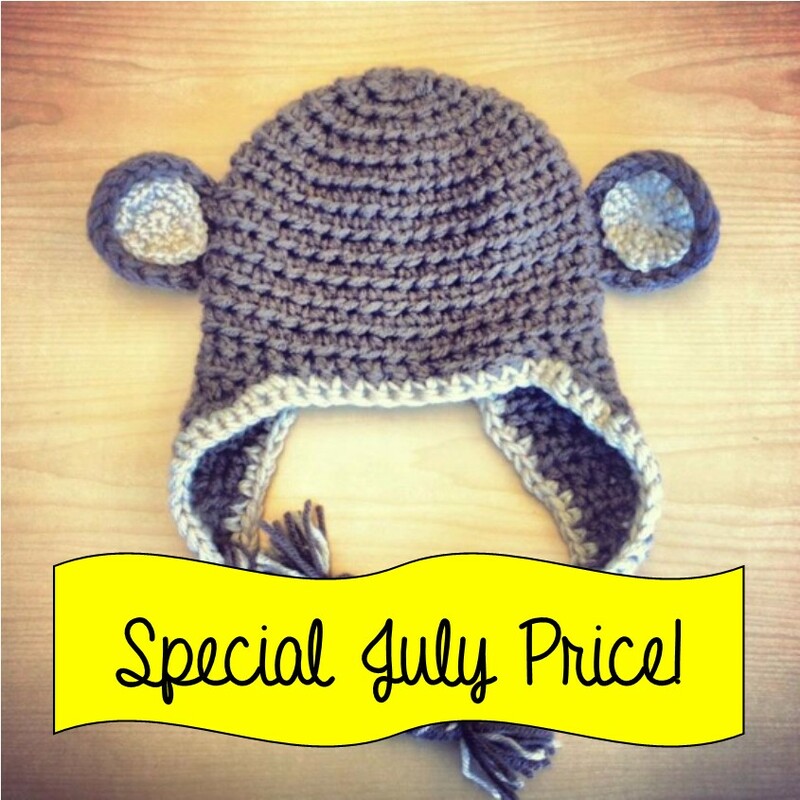 With July coming to a close, there are only a few days left for this special price on the Crochet Monkey Hat! Order yours today! Got a little monkey in your life? Then go bananas over this adorable hat! For the month of July only, purchase the Crochet Monkey hat in any size from the Two Hearts Crochet Etsy Shop for only $20.00! It’s perfect for little monkeys of all ages, and it makes for adorable newborn photos or fun family pictures. Get yours today!